Michele Aboro is a fighter. The undefeated World Champion boxer has not only clashed with titans in the ring, but also battled prejudice and, most recently, breast cancer. Unofficially retired from the ring, she has been in Shanghai since 2010, redirecting her energy to training and launching her boxing gym, the Aboro Academy in the Anken Life Wellness Center. We caught up with her ahead of the opening to talk about impersonating men, teaching nuns to punch and the importance of giving back. There must have been times you made your way into the gym though? I lied and said I was a boy, so I could just go there and spar and train. I had short hair and I looked very strong, very muscular – I could easily pass for a guy. Pretending allowed me to improve my boxing because [the other girls] couldn’t get in there to practice like I did, which put me light years ahead of the competition. What if someone had found out you were a girl? What drew you to boxing in the first place? I grew up in an area of South London where there were a lot of boxing gyms. It was very normal for people to start training. In the beginning, no. She did later on. She’d come along to my fights, but she found it difficult to watch. She was a very, very supportive woman. I hope to bring her over this year to come over and visit. You became world champion, undefeated until your retirement in 2001. What made you stop? After 22 years, I just wanted to try doing something else, reeducate myself. I began working as a sound engineer for songwriter Joan Wasser [aka Joan as Police Woman]. I gave them my CV and there was all these world champion titles and stuff on it and they were laughing, “At least we’re safe!” I didn’t know a thing about music at the time. I was like, “Oh, what does this do?” I learned on the road. I went on to work with Amy Winehouse, The White Stripes, Anthony and the Johnsons, Hanggai. Then, about four years ago, I decided to start training other people and boxing again. How did the concept for a gym in Shanghai come about? It actually came from my partner, Yilan, who was over here doing a book. I paid her a visit and saw that there was no real fitness industry over here. So I said, “What if we move to China and open up a gym?” When we first arrived in Shanghai, I opened Golden Gloves [the gym that trains boxers for the Brawl on the Bund], but I wanted somewhere that was much more of a family-oriented place, where we could actually instill the quality of training in people, not simply teach how to be great fighting machines. With Aboro Academy, I want to spread the healing power of combat sports and the empowerment it can give you. Do you see your gym as somewhere women can go to build their confidence? Definitely. I want women to feel they’ve come to a welcoming place – I’m a female trainer. At the same time, as my own trainers taught me, it’s not about gender. It’s about what you want to get out of yourself. You have to leave your gender outside the gym; don’t bring it in with you. Some girls I know whip guy’s asses without a problem. What are your thoughts on female boxing? Men have been boxing for 100 years, women not even for 20, yet just look at their level. Of course we’re not as physically strong as men, but this is the wonderful thing about fighting sports: it’s not just about being strong. It’s about being smart, cunning and outfoxing your opponent. This is why women can do sparring sports. People think these disciplines might be too heavy for a woman, but they’re not. We have the same ability to think, to move, to anticipate. How do you plan to draw in more Chinese? One of them is with Michele who is fighting February 5 in the WBC World Championship in Hainan. She is a Chinese boxer. Putting ourselves with her, when she fights for this title it does bring us into that whole Chinese area of marketing. If she’s going well, two more steps and she’ll be the first Chinese female champion. I expected it to be another five years before we could bring someone to the championship level and we’ve done it in two. You’re reaching out to top level candidates as well..
Five years ago I actually wrote a letter to the national team saying you want me as a trainer but they said no we don’t want to deal with foreigners at the time. But now, two years later we are actually involved with the national team and we have this connection. It’s really good to see these kids; they really are an inspiration. You tell them what to think they do it, they don’t find escapes in anything. And this is part of the Aboro Foundation, to provide career-orientated fitness and wellness training to underprivileged youth. How important is the charitable aspect for you? I think that’s what sport is about – giving back. We train kids to become coaches, so when they stop boxing they have a future and can make a living. Athletes are very egotistical – me, me, me kind of people. As a sport person, you have to be. So when the opportunity arises to do some good, it’s right to do so. There are a lot of schools here too where there are a lot of kids that get in trouble, that are angry, that don’t know what to do with their anger. I want to go to these schools to not only talk with them, but take some of these kids out so they can come out and train with us; kind of a therapy. Sneaking out to box, winning world championships, starting a business in a foreign country… what has been your biggest challenge? Cancer. I was diagnosed in April 2012. I started chemo at the end of July and finished in March 2013. Yilan was the driving force when I was sick. At times, I couldn’t really do anything. I couldn’t train people because they took all my lymph nodes out – I couldn’t lift up my arms for about four months. So I taught her how to box and how to hold pads and to teach classes so we could keep teaching all the way through the treatment. We couldn’t have kept our client base going otherwise. I would sit there and just give instructions and a lot of people were very cool with it. For a long time, we had this whole group of girls that would come and do classes with us on a Saturday. They would just keep on coming and keep on training and they’re still here today. What are your most memorable stories? Any ‘unexpected’ students you’ve coached? Nuns in England and ladies in the red light district in the Netherlands. Separate times, of course. That would be interesting… the red corner and the blue corner. Redeem yourself! But seriously, in the red-light district, there were a lot of women that would be beaten up. Three times a week we’d just do boxing or kickboxing. Hopefully with the Aboro Foundation, we can keep on doing what we were doing before – fundraisers, auctions, art auctions. Try to give a little bit back. And any interesting stories from over here? There was Simon Baxter, who took part in Brawl on the Bund. He just made me crazy, always forgetting his hand wrap and what I had taught him. A month into it he came to me and asked me to give him private lessons. I agreed, on the basis that he’d come to the gym at 5am every morning. He did for almost three months. When the fight took place, he beat up a guy half his age, ran rings around him. Boxed really nicely. It was amazing really. He was just really dedicated – he made me eat my words. You can never count people out; never have a preconceived idea about anybody. I had all these misconceptions about Baxter, but he proved me wrong in every single one of them. I was so impressed I named my poodle after him. We break Rule 1 and Rule 2 to bring you a behind-the-scenes look at Urban Aphrodite's upcoming live adaptation of Fight Club. Brawl on the Bund boxing reality show: Episode 3 now live! 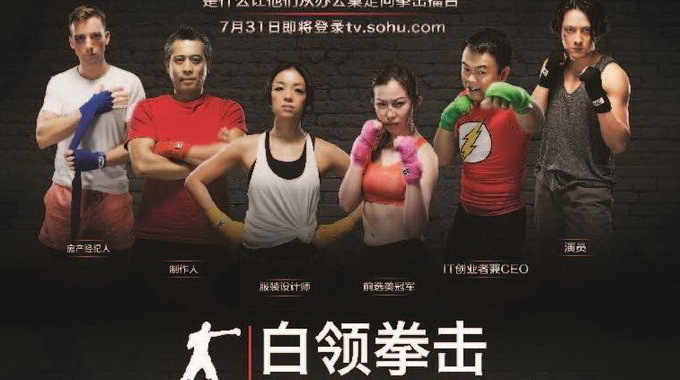 Episode three of China’s first ever boxing reality TV show 'White Collar Boxing' is now live. Brawl on the Bund boxing reality show: Episode 2 now live! Episode two of China’s first ever boxing reality TV show 'White Collar Boxing is now live. 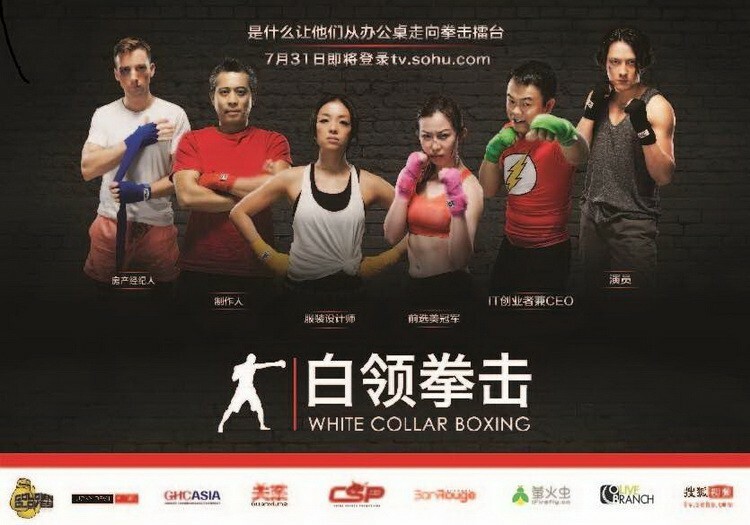 China’s first ever boxing reality TV show 'White Collar Boxing is going live today. Get in the ring and get in shape with 6 weeks of intensive training. Meet soon-to-be brawlers 'HOJO' Heidi Johnson and Lauren 'The Viking' Himle ahead of Brawl on The Bund this Saturday. 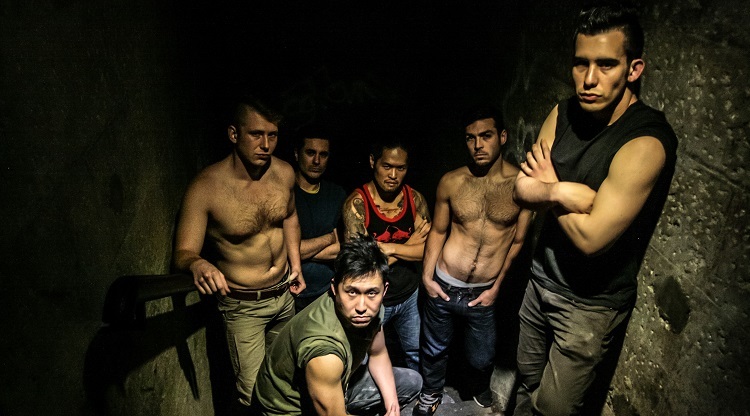 In their boldest move yet, Urban Aphrodite recreates Fight Club for the stage from May 2-7 at Arkham.